Add the Sea offers highly effective expert training sessions, workshops and management courses offsite in the form of sailing trips on the high sea. Together with you we will develop your learning experience – personalised and profound. Add the Sea helps people focus on the essential: themselves. Our deep conviction: sailing trips, the vastness and the sea help us to focus on ourselves and relax. We become open to new things and learn more quickly and more effectively. Add the Sea activates people, bringing them together with the best coaches to thus create sustainable learning experiences. 24/7. At sea. Sailing for highly effective expert training. Innovative ideas have always been the drive for companies that are more than just the sum of their parts. They motivate others, establishing the foundation for working together for a great cause. Add the Sea positions itself as far removed from the usual, mostly rigid routine of seminars, workshops and Co. – Add the Sea sets benchmarks in management training because our sailing trips break with all known conventions. A sailing ship offers a suitable setting for getting rid of ballast and focusing on something new. The intensity that managers feel in such a setting has an essential full-scale impact. Learning experiences such as this become the foundation for creating true values. This is explicitly not a luxury event of a recreational nature. Rather it draws on elementary switch points that serve to get things moving mentally and emotionally to contribute to a company’s success, full of drive and with out-of-the-box thinking. Nowhere else can new things be learned with such joy and be so deeply incorporated as in an inspiring environment with plenty of fresh air to breathe. Add to that clearly structured seminars, professional coaching, space to relax and 24/7 mentorship – your Add the Sea learning expedition is complete. Besides, with Add the Sea you have already found the perfect venue for your offsite event: the sea. Actually, it should be a given: happy, healthy people together bring you forward. That is why, in addition to seminar content, Add the Sea offers professional modules on topics related to health, personality, team spirit and knowledge. Together with you, your seminar thus becomes a holistic experience. Everything you need to know about our seminars, coaching sessions and sailing. Our coaching sessions and seminars are something very special and for many of our guests something entirely new, too. We have already answered some of the most frequently asked questions for you, so that you feel comfortable right from the start.  I founded Add the Sea because I wanted to support and encourage people to abandon prevalently rigid seminar routines. Learning on a ship is no luxury and is not a recreational event. It is a highly effective foundation for creating true values, firmly anchoring knowledge and ensuring that things finally get moving again – in heads, in teams and in companies. We can certainly help you.